5580 opens up as it passes Winchcombe's home signal on 5 April 2009 during the Gloucestershire Warwickshire Railway's Diesel Gala. It is rounding what is locally known as 'Chicken Curve' near Greet whilst working the 11:55 Winchcombe to Toddington service. The use of this loco fits in well with all the other rail blue locos on the line. 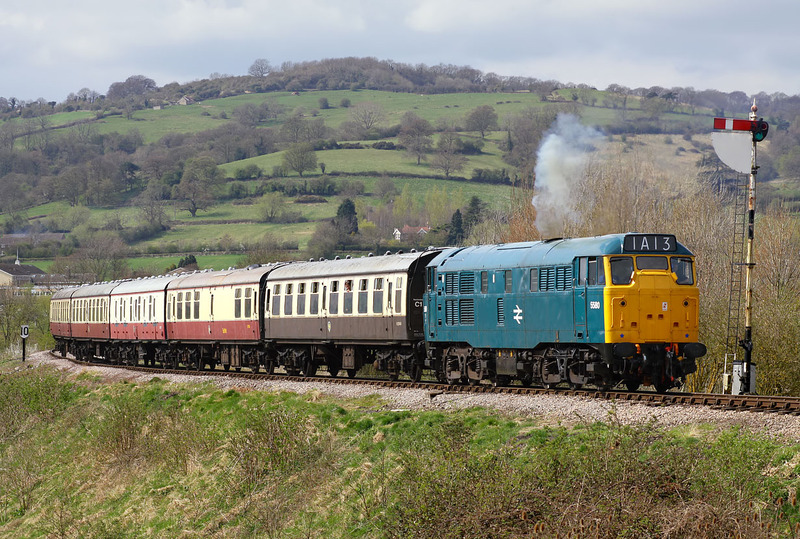 In fact the only non rail blue loco is use over the Diesel Gala weekend was Class 20 D8137. Some matching coaching stock would be nice now!